Is The Gastric Band falling out of favor? In recent years surgeons have been turning to The Gastric Sleeve as the procedure of choice for weight loss. For many patients undergoing gastric band surgery the weight loss has been disappointing and unrewarding. Even after having multiple band fills patients have not successfully lost weight or have actually regained weight. If your gastric band has failed, doctor Hanna has a solution for you. Patients travel from all over the country and internationally to be under the care of Doctor Hanna.Doctor Hanna has been voted ‘Top Surgeon” by his peers in 2006, 2007 and 2013. His experience and reputation sets him apart as one of the leading Bariatric surgeons in The Las Vegas area. As a leading very experienced weight loss surgeon in Las Vegas, and director of Las Vegas Bariatrics Center of Excellence Program, Doctor Hanna will make your experience a truly memorable and pleasant one. We have a fully integrated staff that focuses on your safety.We evaluate for band slippage, erosions and device failure. Having done hundreds of revision procedures, we have the solution. Band to Sleeve revision surgery is becoming a very popular procedure with great success leading to better weight loss and improved health. 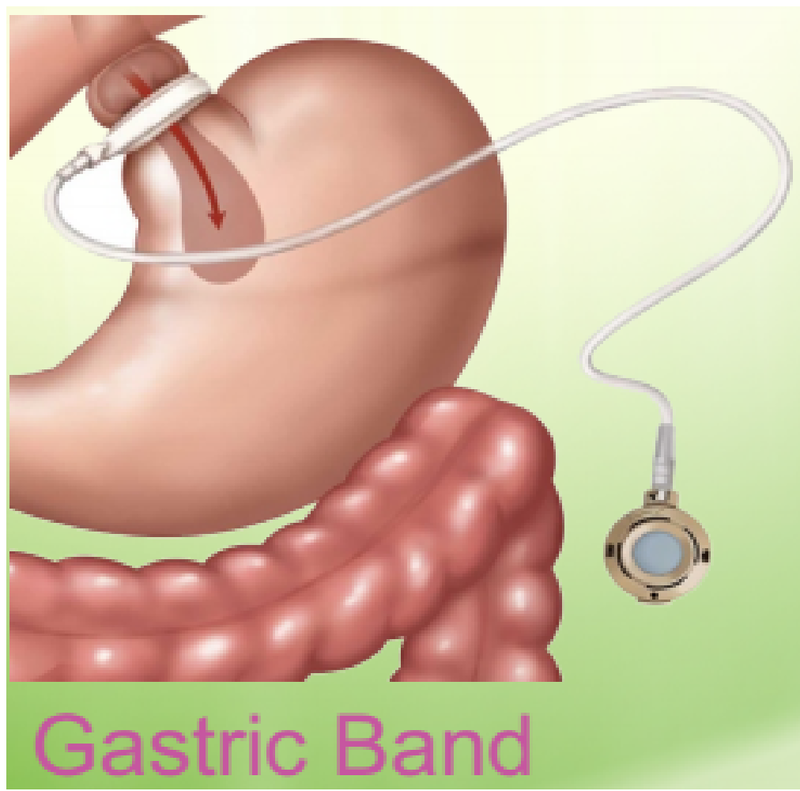 • After having gastric band surgery, some patients can have problems. • Are you having difβiculty with the weight loss? • Are you having frequent bouts of emesis and throwing up? • Are you having difβiculty tolerating certain foods? • Are you only able to tolerate liquids? • Are you having severe Acid Reβlux?